Code of Honor raced well off the slow pace of the Florida Derby before closing to finish third behind Maximum Security. The 3-year-old son of Noble Mission came out of the race fine, said trainer Shug McGaughey. “I thought he ran fine. That's not the type of race he needs with one horse on the lead and everybody taking back. We were kind of in between horses. He had half a racetrack on him. I thought it was pretty game what he did considering the circumstances,” McGaughey said. 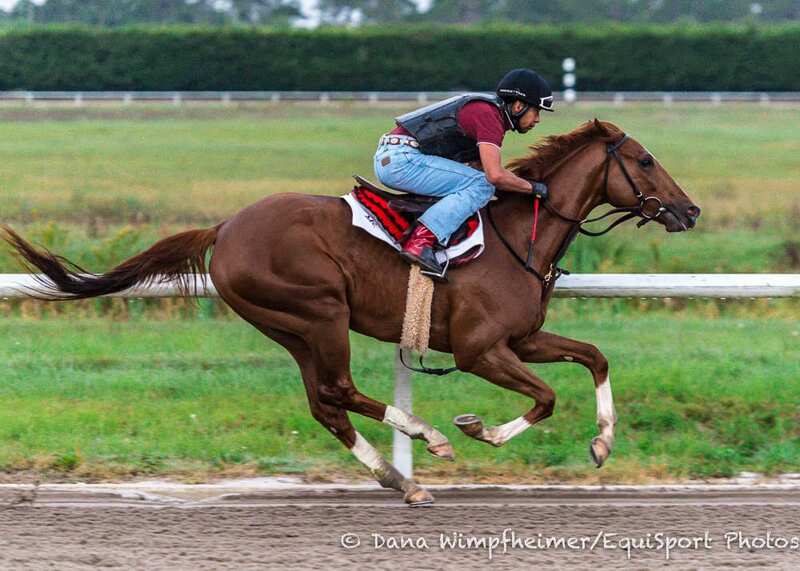 McGaughey hasn't firmed up plans for Code of Honor, who is currently stabled at Payson Park. Bourbon Lane Stable and Lake Star Stable's Bourbon War currently stands 15th with 31 qualifying points for the Kentucky Derby, pending the outcome of April 6 preps in California, Kentucky and New York. Hennig said the Tapit colt will be pointed to the first Saturday in May. “We'd love to be able to get into the Kentucky Derby on points. If we [have enough] points we'd be confident going forward because he's a horse you'd like to think leaving here would be good for him to get off a track where it's hard to close,” Hennig said. This entry was posted in NL List, Triple Crown and tagged bourbon war, Code of Honor, Florida Derby, Gulfstream, Horse Racing, kentucky derby, Mark Hennig, noble mission, payson park, shug mcgaughey, tapit by Press Release. Bookmark the permalink.